Seriously, Lindsay? It’s not even Thanksgiving. It’s true. But I get really excited about holiday cookies. So I have a lot of them to share. And when I did the math, I realized I needed to start posting stat to get them all in. 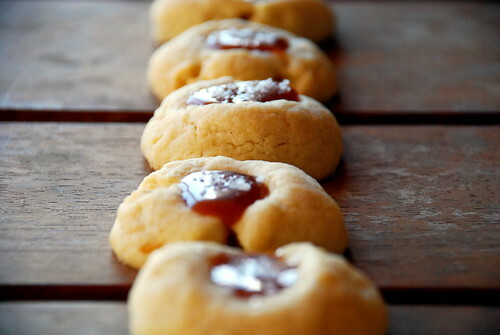 So, if you’re vehemently opposed to Christmas cookies before Thanksgiving, I’m so sorry. Maybe if I send you a batch of these, you’ll forgive me? My first cookie is pretty sophisticated…it has a very savory/sweet profile. 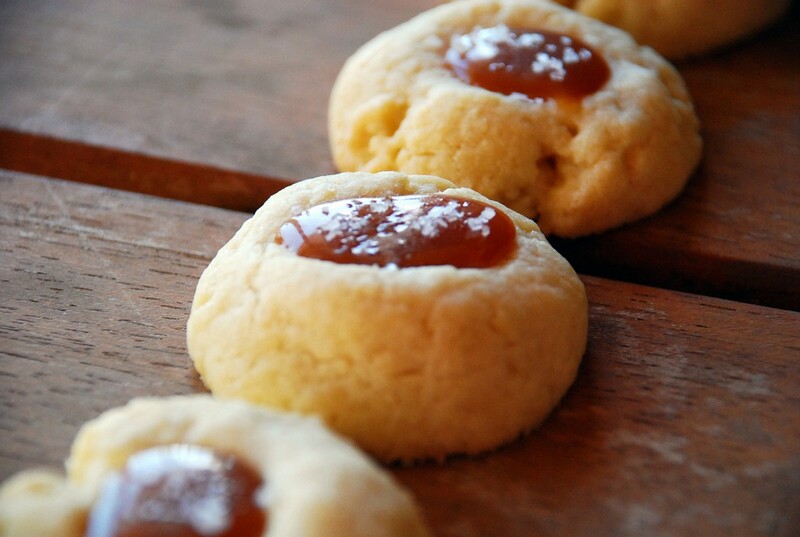 The shortbread dough is not too sweet at all, and the sea salt on top adds additional bite. I like to think if this cookie could wear clothes it would be Chanel all the way. Luckily, it’s not hard to make. All you need is a mixer and, er, your thumb. You can cheat and use storebought caramel, but please use the good stuff. I included the recipe for homemade below…it’s the most foolproof I’ve found. But I shared this recipe on Babycenter a while back, and some of the commenters had trouble with the caramel (though some of them clearly did not read the directions). So don’t be afraid to buy a jar of good stuff and just drizzle it in if you’re gun shy. I’ve burnt or seized up plenty of batches of caramel in my day so I know how frustrating it can be. But I also know how absolutely delicious it is when it works!